AMPM—like the convenience store. You walk in, looking to quench some kind of thirst. You want quickness and reach around, grabbing for something that does the job. All day. All night. Like dreams and psychological states. Spiritual experiences that you ultimately enter—knowing delicacy or disappointment. There is a little bit of everything in the store, but maybe not exactly what you want. Maybe it’s not enough. In dreams and in shamanic meditation, there comes a flow of both spiritual and mundane imagery. Messages from guides and one’s intuition. Meetings with spirits, goddesses, and versions of my-self. The paintings are self portraits; they are icons—reminders of who I have met, been, and could be in vast internal realms. They start with the “beddrawings” then become paintings. They include text and faces which come intuitively in morning drawing practices and reveal a woman-looking self in a slightly awake state. This is a state of desire, anger, exhaustion, and anxiety, all at once. +Vintage Self-Help, a new book of writings by the artist, will be released and available during the opening reception. Hayley Barker (b. 1973) lives and works in Los Angeles, California. She received her BA from the University of Oregon and her MFA from the University of Iowa. Recent solo exhibitions include The Ambassadors (Carl & Sloan Contemporary, Portland: 2016), Plants Bodies Stars (Luis de Jesus, Los Angeles: 2016), and Apparition Hill (Charles A. Hartmann Fine Art, Portland: 2014). Barker's works have appeared in group exhibitions at the Pit (Los Angeles: 2017), Rainmaker Gallery (Portland: 2017), Gallery Protocol (Gainesville, FL: 2017), Dalton Warehouse (Los Angeles: 2017), Egyptian Art and Antiques (Los Angeles: 2016), Disjecta (Portland: 2013), and The Art Gym (Portland: 2009). Barker co-curated Women on the Fence (Mothership Festival, Desert Hot Springs: 2016) and her work has been featured in numerous publications such as New American Paintings and The Harvard Divinity Bulletin. 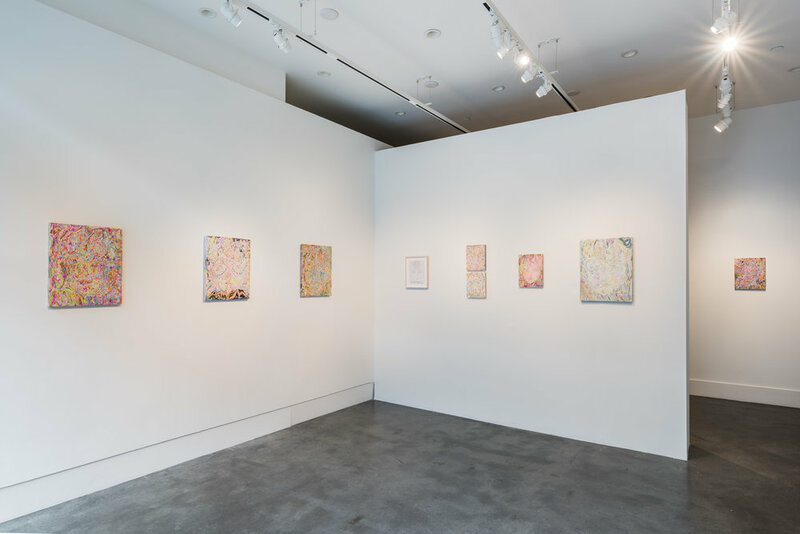 Her most recent solo show “Bozo Mag Presents ‘New Paintings by Hayley Barker’ at Abode,” garnered a review by Catherine Wagley and was an LA Weekly Pick for August 2017. This winter she has work in shows at Lava Projects, Alhambra, Big Pictures LA, and Charlie James Gallery, Los Angeles.